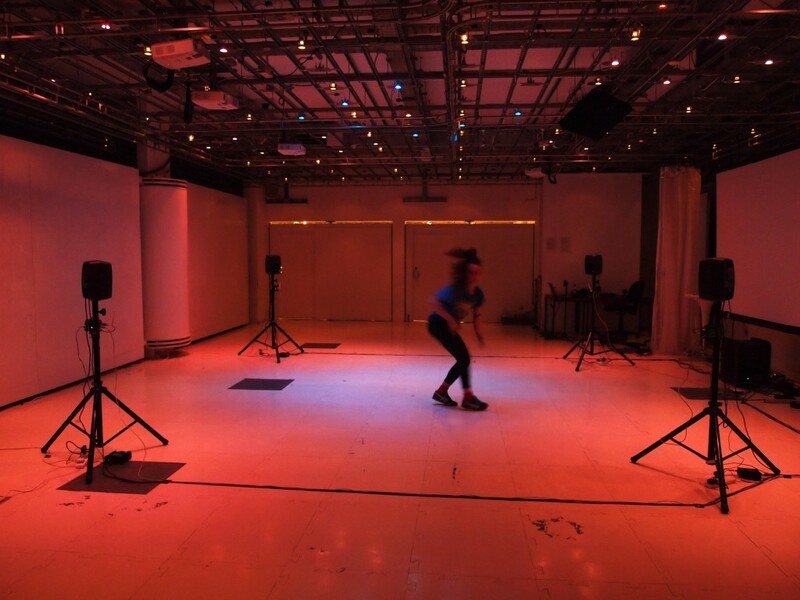 (Research in progress) A study in interactive music theatre: In this first experiment of Thanos’ research on interactive music theatre, he is embarking on an exploration of the voice. Aided by improvisation as well as by fully written score, we have considered the instrument’s range, colours, and expressive possibilities. Moreover, this first study engaged with the subject of audience interaction beyond the traditional operatic setup. Stelios Manousakis is a composer, performer, sound artist, and researcher, currently based in The Hague. He operates across the convergence zones of art, science, and engineering / composition, performance, and installation / the rich tradition of western sonic art and ‘digital folk’ idioms. M.Eugenia Demeglio (IT/UK) is a maker and educator. She is an Associate Lecturer: Dance at Falmouth University and a freelance maker based in Brighton. Her practice includes move­ment and impro­vi­sa­tion per­for­mances, instal­la­tions, participatory events, videos, com­mu­nity projects and (body) sculp­tures. 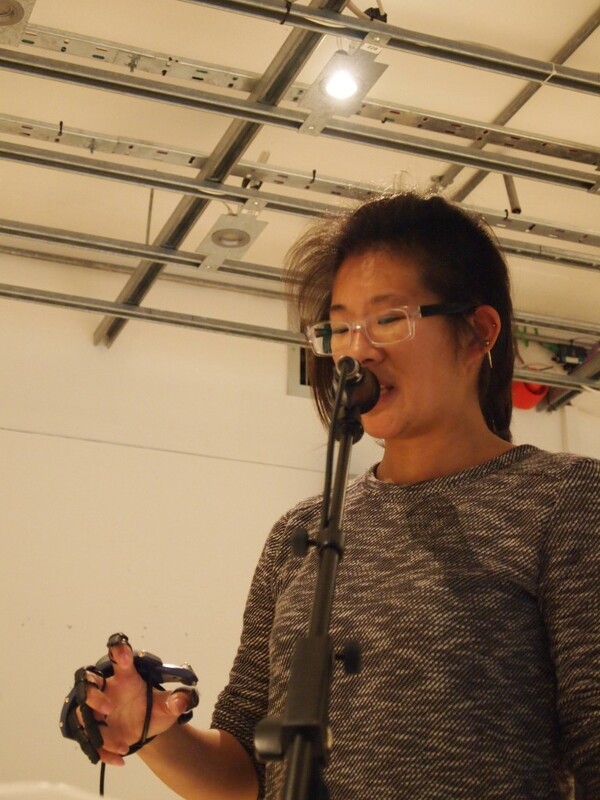 Stephanie Pan (USA/NL) is a singer and multi-instrumentalist, performance artist, and maker based in The Hague, specializing in experimental music, new music, and experimental theater. Her work is rooted in the search for pure communication; finding contact with the audience stripped of expectations and distractions, which speaks beyond the conventional limitations and constructs of language. Her work is visceral, passionate and intense, often exploring the limits of the voice and body. Thanos Polyemenas-Liontirs (GR/UK) is a composer, performer and sound artist. His practice comprises computer-aided compositions, interactive audiovisual installations and interactive music for dance, theater and multimedia performances. He is currently a PhD candidate at Sussex University researching on the development of audience immersive and interactive music theatre.